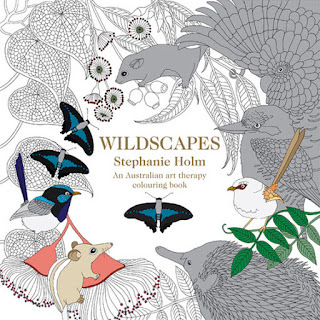 Wildscapes is an amazing book illustrated by Stephanie Holm, an actual botanical illustrator who not only loves drawing but adores our Australian wildlife and plants. 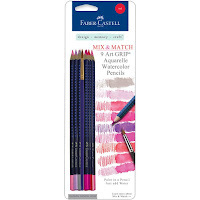 With so much to choose from, it can be hard to decide where to start. 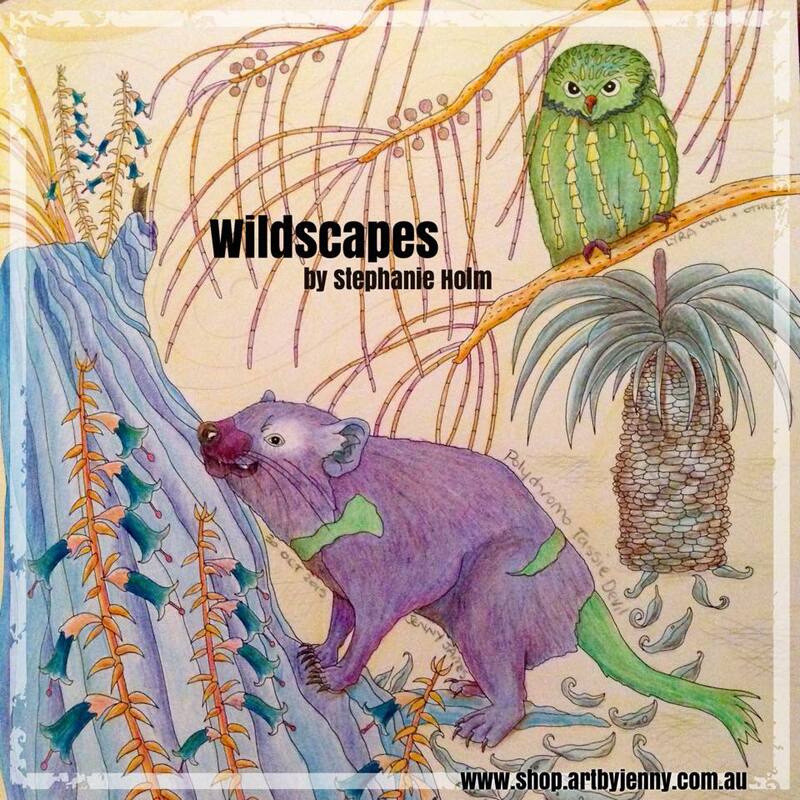 I started with the Tassie devil and then coloured in the page of honey possums before going back to the Tassie devil's page to colour the owl and scenery. There are frogs (yay! I love frogs! 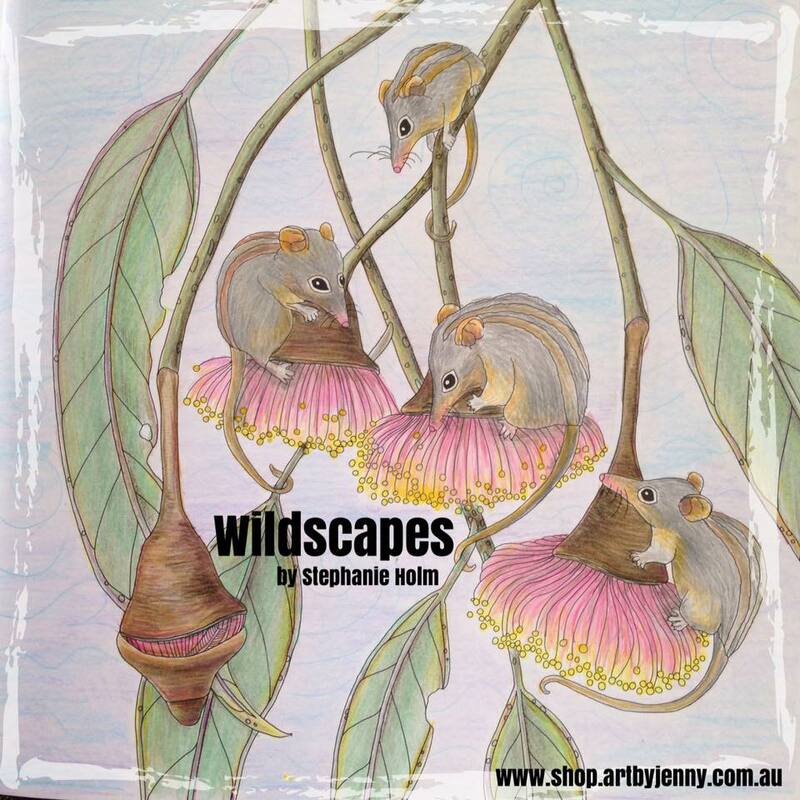 ), birds, a thorny devil, Boyd's forest dragon, platypus, feathertail glider, a Tasmanian devil and so much more - plus a wide variation of beautiful Aussie flowers and trees including yakka, gum trees and fungi. 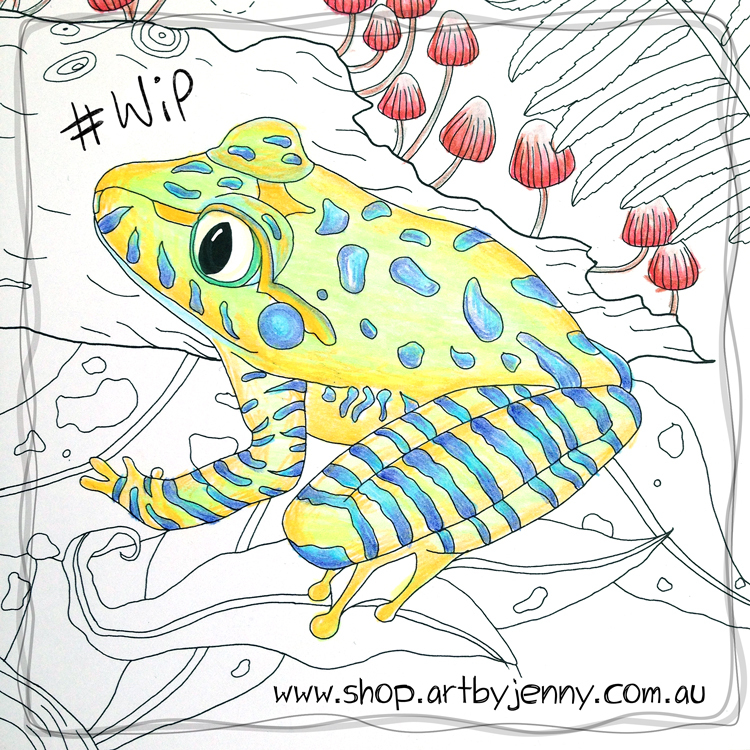 Colouring WIP by me :) I do love this frog! 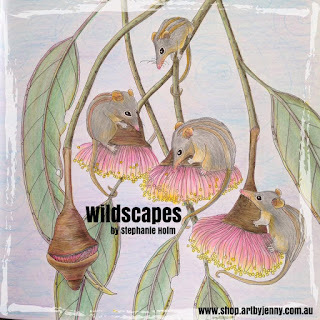 I've coloured using regular pencils but you can use watercolours in this book without worrying about the water wrinkling the page. 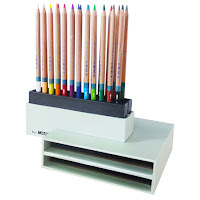 Its nice sturdy smooth paper. The wrinkles will smooth out on their own, but if you need them flattened more, leave it somewhere under a phone book. The weight of the book will soon smooth out the page again. 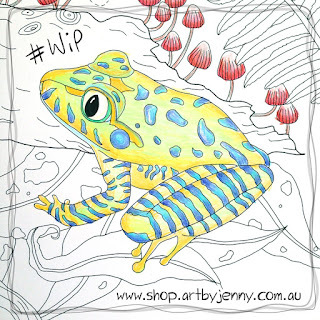 I've nearly finished the frog's page - it has a pink tree trunk, blue-green leaves, green lizard, red toadstools and so far, a white background. 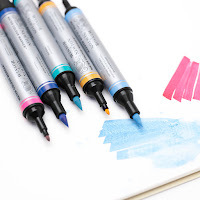 I'm thinking a mix of orange and yellow for that but I'll see what happens when I get back to it, probably will end up being pale blue-grey - coloured using the "scribble on a scrap of paper and smooth over the page" technique. PS... The following are linked back to my shop. 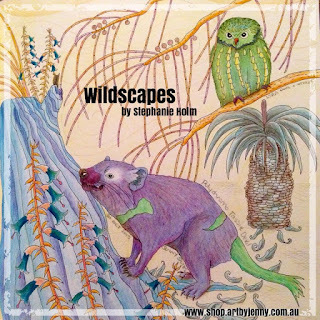 Until midnight 22nd Feb 2016, there is a 25% discount for orders of $50 or more - storewide! 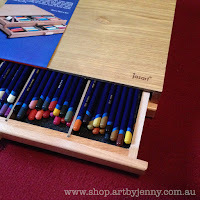 You'll need a code, so visit www.shop.artbyjenny.com.au/collections/amazing-specials for details.